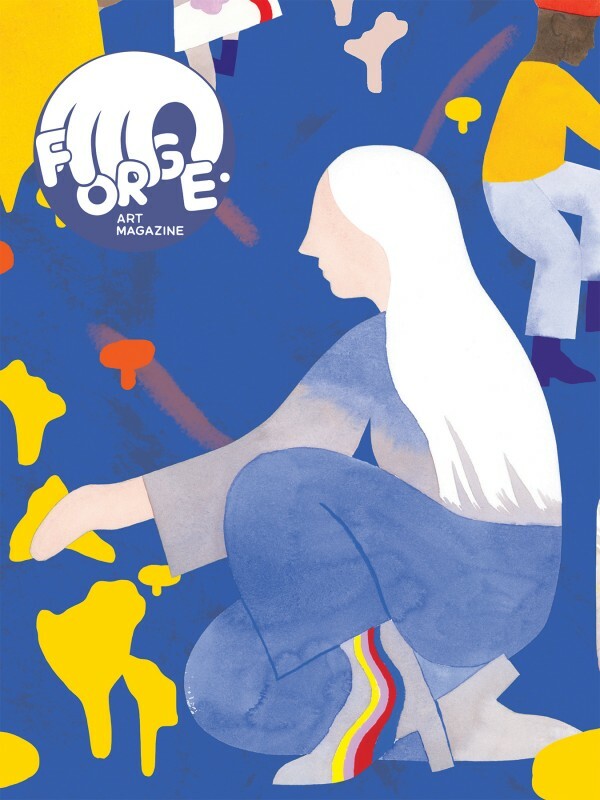 There's a new person involved with Comic Arts Brooklyn this year: writer and curator Matthew James-Wilson, best known for his work with the on-line magazine FORGE. As the other people involved with CAB and its predecessor are all heavy-hitters of their generation, it stands to reason that the much-younger James-Wilson has a similar career ahead of him. TOM SPURGEON: I'm always interested to know how someone fits into that writer/curator space, one of the tighter spaces in which to find a space in any era and doubly so I think now. Can you trace how you got to where you are from school? MATTHEW JAMES-WILSON: I think I've always seen the value in people who put their energy into celebrating or validating the work of others around them. As a fan of anything, it feels really exciting to have some part in getting something you care about in front of more people. I think a lot of people get hung up on their own success or audience, but it seems kind of silly to work really hard to carve out a single career for yourself when there's the opportunity to help dozens of people get farther ahead in their practice simultaneously. The first big part in wanting to become a writer or curator is just having the energy and patience to invest yourself in other artists and what they're making. Then I think your specific value or voice in a community only comes after you've done it long enough to start noticing the voids that need to be filled and the perspectives that aren't being shared. I'm from Toronto originally but I grew up in upstate New York and went to an art high school there. I initially started the magazine with a couple friend while we were finishing high school as a way to interact with artists who we admired, during a point in our lives where we were unsure about what it would take to pursue making art after school. Initially a big part of the magazine was just having an excuse to talk to artists who we really looked up to, and hearing about their experience becoming a professional artist. But since we were young artists ourselves and knew what it was like to not have a lot of opportunities, we really wanted to make the other half of the magazine about artists who were just getting their start. So the curation for the magazine as a whole was born out of this desire to feature a balance between established artists sharing their stories and young artists sharing their work to a wide audience for the first time. SPURGEON: Why New York and not Toronto as the center? You cover Toronto equally well, even, in what writing I've seen. What does New York provide or offer that's unique to what you're interested in spotlighting? JAMES-WILSON: New York City became a much bigger part of the magazine after I moved here to go to college and I started doing the magazine totally by myself. At that point I was so overwhelmed by all of the stuff going on here with the DIY art and music communities that the magazine sort of became an elaborate journal of my experiences interacting with both. Researching artists and art scenes in New York -- new and old -- is sort of like following a never-ending breadcrumb trail. There's always so much going on here that it's pretty easy to stumble into a scene for whatever you're interested in, with other people that also care a lot about it. It's such a difficult place to live and operate in that the people that actually stick around end up being really committed or passionate about what they're doing. But space and money have a really big impact on everything that gets made here, so lately I've been really conscious to include artists working in other places whose art isn't as impacted by those factors. Toronto has it's own incredibly unique community, so I try to visiting my friends and family there as much as I can. I try to keep feet in both camps because I think I have a lot to learn from the way both cities breed the types of people and artists that they do. SPURGEON: Could you talk more specifically about how comics works into your overall view of the art in which you're interested? Do you have a background with that kind of work? Do you think it's uniquely informative in the snapshot of this time to cover comics. JAMES-WILSON: I've been reading comics for most of my whole life, so I think they've always been a big part of my art education. I think in comparison to a lot of other mediums, comics are really equalizing in that you don't need a lot of resources to make them, consume them, or share them, and there's a really low barrier of entry to become a part of the community around them. It's really important to me that art is available to people no matter what background or situation they're coming from to it, and comics fulfill that really well. SPURGEON: Talk to me about FORGE a bit. Is there a story as to its genesis that can be told without overtaking our little talk here? It strikes me as a documentation engine maybe more than something that embodies a certain view of art. It seems very respectfully reactive. What do the best issues do for a reader, in your estimation -- or maybe just what you aspire to. JAMES-WILSON: Yeah, I've tried not to completely define what FORGE. is in the hopes that it can be whatever I want it to be whenever I'm working on it. Maybe part of that comes from just being indecisive or naive. I think after I moved to New York for college and started doing it by myself the magazine became really personal, and it was an easy format to work through my own insecurities and fears about being an artist by talking to so many people I looked up to about it. Interacting with all of these young and contemporary artists has been a really humanizing experience for me as the person working on it, so I really want it to come across to readers as a way to realize that they're not all that different from the artists they admire. The creative process is fraught with self-doubt, frustration, and sudden revelation, so I feel some responsibility to make people feel less alone in that. After I dropped out of college halfway through and started writing professionally for other publications, I think I gained some more autonomy and confidence with what I've been trying to do differently with my magazine. Now I think the magazine is still as personal as it has been for the past few years, but I've tried to apply what I've learned from doing it for five years into how I approach making it. I feel like each issue builds off of the preceding ones, so it's hard to pick out which issues stand out to me. But I think there are certain interviews through out the issues that have definitely felt like turning points for me working on it. The interviews I did with Greta Kline, Michael DeForge, Jillian Tamaki, and Jesse Moynihan were all particularly illuminating for me. SPURGEON: What's your experience with CAB? What stood out for you? 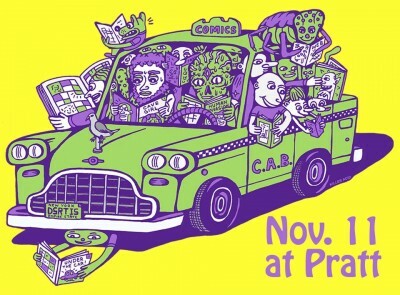 JAMES-WILSON: I've been going to CAB since I first moved to New York, and it's consistently been one of the best festivals for comics and zines that I've ever attended. The first CAB I went to was in 2014, after I saw a poster for it outside of Death By Audio and tore it off the wall to put in my dorm room. Since then the fair has exposed me to so many of my favorite artists and books from the past few years. Desert Island alone has had an enormous impact on me and the way I think about art commerce and print, so it was incredibly flattering when Gabe approached me about helping out with CAB this year. SPURGEON: Can you talk to me about that, how the co-curation came about? 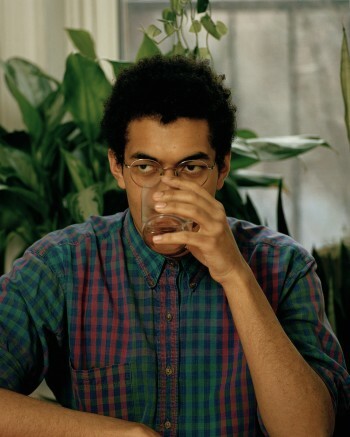 JAMES-WILSON: Gabe first talked to be about helping to curate the fair in the spring while we were both tabling a different event in Brooklyn. I think Gabe has been really good about always figuring out how to make the next thing he does even better than the thing he just did, so it seemed like he just needed some help executing the vision he had for the fair this year. The two of us started meeting up more regularly and talking about what we thought a giant comic fair should look and feel like in 2017. I think both of us have a similar work ethic and intention for doing the work that we do, so the fact that each of us approached it from a different background meant we could each bring something different to the table and still have a unified idea of what it should be. I'm so glad to have had the chance to work on it with him, and it's been such an honor to be a part of an event that has meant so much to me. SPURGEON: Specifically, what do you think you add? Like is there a guest that you can point to, that you can say "that's a person that is going to contribute to this year's show that is here due to my curation." Or even more generally, what do you think you provide? JAMES-WILSON: I think overall I've tried to bring in a more "youthful" perspective to it -- whether that means inviting new groundbreaking artists or highlighting artists from that past that stand out to someone from my generation. 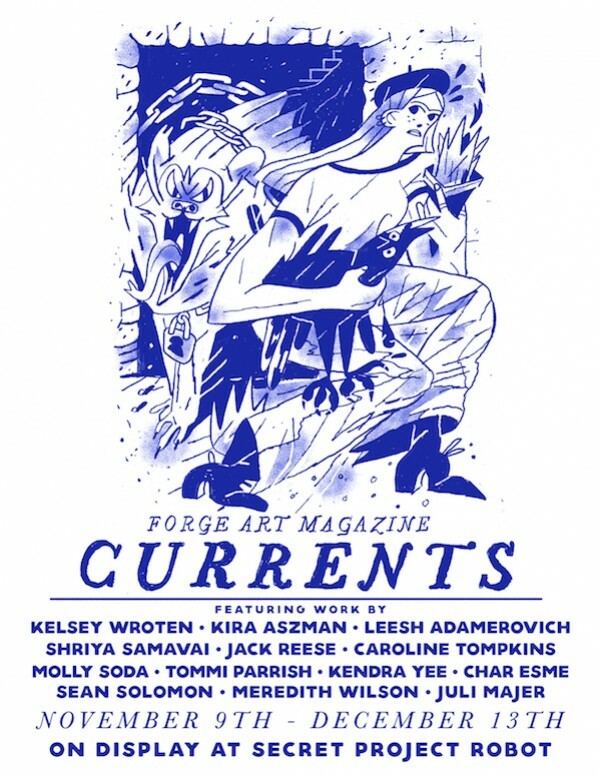 I'm 21 and I've been doing this magazine for the past five years, so I have a totally different experience that informs my attitude about art and comics, and I think the two of us have learn a lot from how each of us approach overcoming the hurdles that arise when organizing any art event. The panel that I'm hosting for CAB this year I think points to a lot of the voices that I'm excited about bringing to the show this year. SPURGEON: You're an interesting, deliberate interviewer. SPURGEON: Do you have a favorite discussion or kind of discussion? JAMES-WILSON: I think I just really want an interview with an artist to not only give you an impression of how they make their work, but also what they're like as people. It's really easy to divorce a piece of art from the person who made it, so I try really hard to relate the two together. I don't know if a lot of interviewers really investigate why an artists made what they did, and what part of their human experience gives them a perspective that's really idiosyncratic. I don't really feel like I deserve to give my input on someone's work until I know who they are, so I try to start out with that. With most interviews I do I try to create some sort of chronology, but I also really try to stress that the artists are always still evolving, no matter how far along they are. SPURGEON: Old men like me that count on a CAB for a look into what comics is like right this second, at least within the realm of that great community -- what should we know about the comics-makers you're bringing in? What does the work you're interested to bring to our attention through this show say about where the art form is headed? JAMES-WILSON: I think comics is attracting people for the same reasons it always has, but today there's a lot more opportunity for anyone to feel like they can participate within the greater discourse. With the internet, there aren't really the same gatekeepers that there were in the past, and it's so much easier to narrow in on the audience that you're looking for rather than compromising your voice to appeal to a more general audience. The art form has such an endless amount of possibilities, so there's absolutely no reason why the content should feel limited to a specific style, narrative, or creator. I hope at least, that this year's festival will bring attention to the vast range of topics, stories, and perspectives that are alive and well in the world of comics, and that we'll allow anyone walking through the aisle to feel like there's nothing keeping them from being a part of it as well!